68 MMS December 2017 mmsonline.com ADDITIVE INSIGHTS Understanding Industrial 3D Printing lattice structure on the underside of the part to improve rigidity while adding only minimal extra weight. Corey also was able to leverage machining allowances to add material near the piston rings in such a way that they were self-supporting. All combined, the enhanced piston crown design required zero additional supports to enable addi- tive manufacture in stainless steel (see Figure 2). The final piston crown weighed 7.5 percent more than the original piston crown yet required 11 percent less time to manufacture. It had zero sup- port structures to remove, and once it was machined to its final specifications, it was actually 4.1 percent lighter than the original design yet had 37 percent more surface area to improve heat transfer. In short, by designing for AM, we enabled a functional prototype that could be made in two to three days with minimal post-processing effort, compared to two to three weeks via conventional methods. 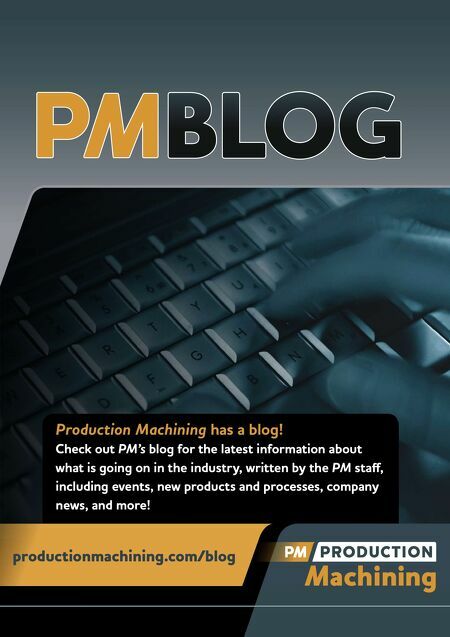 So why should machine shops care about this? 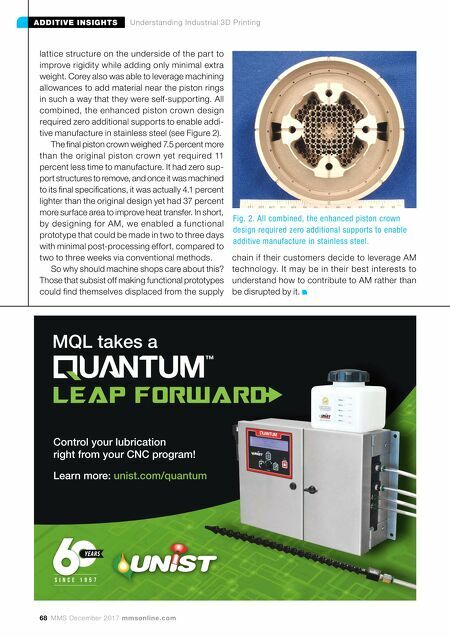 Those that subsist off making functional prototypes could find themselves displaced from the supply chain if their customers decide to leverage AM technology. It may be in their best interests to understand how to contribute to AM rather than be disrupted by it. Fig. 2. All combined, the enhanced piston crown design required zero additional supports to enable additive manufacture in stainless steel.